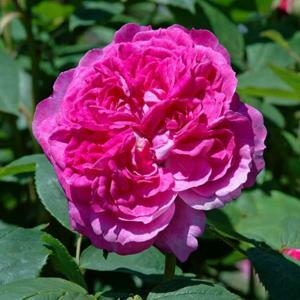 Fully double, fragrant, violet-pink flowers, freely repeating through summer. Dark greyish green foliage. Upright habit with long arching stems.